Suave, sophisticated and clearly a work of modern art, the High Artistry Limited Edition collection by Montblanc in dedication to Emperor Kangxi is truly a sight to behold. Regaling the story of one of the history’s greatest figures, this collection has utilised every technique in the book to bring Emperor Kangxi’s story back to life. 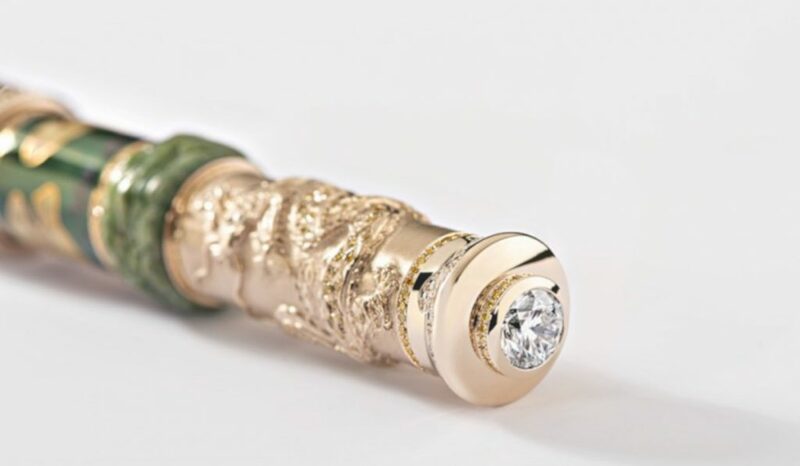 From stone cutting and setting to hand engraving and gold work, there’s a reason these pens are worthy of their price tag, and it’s not only due to their aesthetic worthy of a place in the Museum of Modern Art. Each of these writing instruments cost over MYR 5,000,000, but to live the live of China’s greatest Emperor, one must enrich themselves in such luxuries as Emperor Kangxi himself did. As part of the Montblanc High Artistry Homage to Emperor Kangxi Limited Edition 1, the Imperial Dragon stuns with how detailed and ethereal the craftsmanship is. 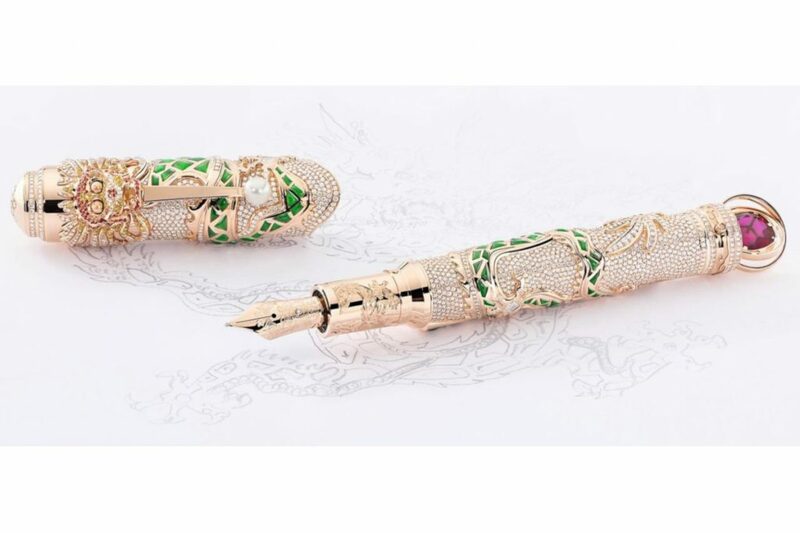 Individually cut from jade pieces with a line of brilliantly cut diamonds swirling around its body, the pen pays homage to the most valued of imperial symbols, the dragon. 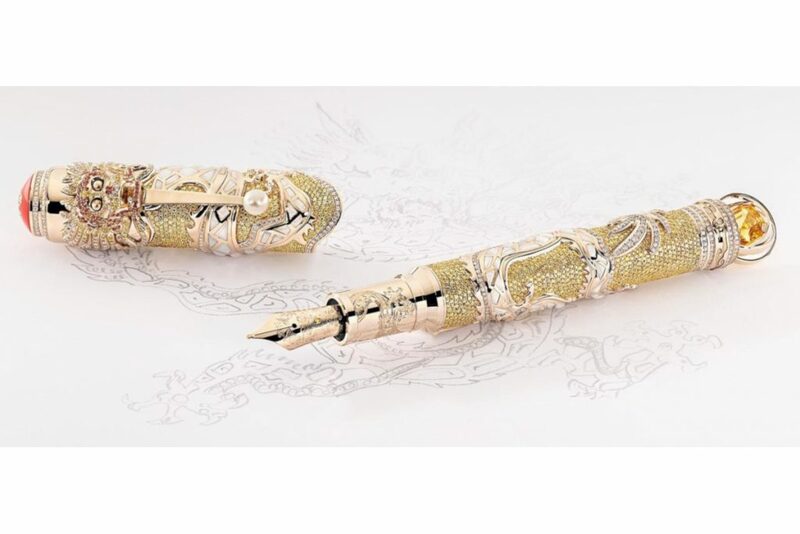 From the mechanism on the cap of the pen that opens and closes the dragons eyes, to the cap and barrel both being set with a full pavé of yellow diamonds, every square inch of this writing instrument is brought to life from the tiniest of details to the most extravagant of embellishments. Inspired by the Emperors love for western astronomy, the cone design is inspired by an armillary sphere, with a 2-axis mechanism that allows a 6.42 carat square emerald-cut yellow diamond to rotate freely at its centre.With a clip set with natural white pearl and a Au750 solid gold nib decorated with a dragons head, it is definitely no wonder that this work of art sells for MYR 7,763,000. 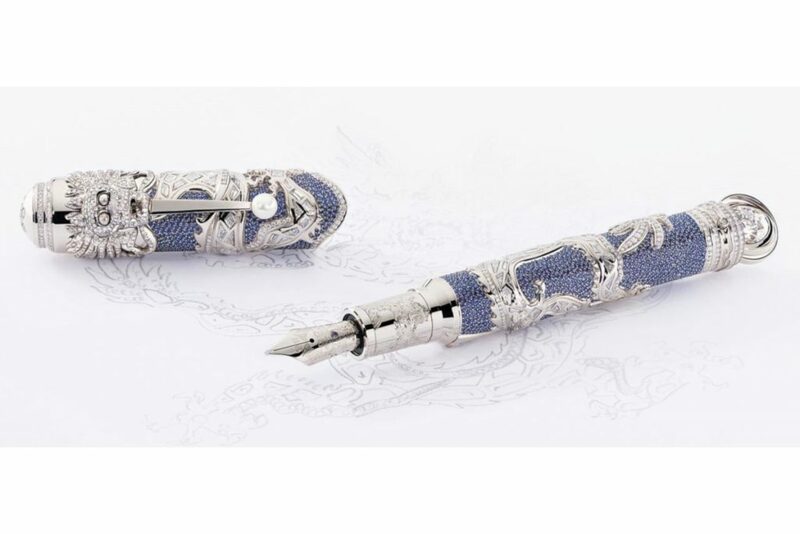 Draped in a rich orchestration of blue and white gold, the Royal Blue Dragon pen stands out with its deep colours as a nostalgic throwback to the royal garment worn by Emperor Kangxi himself. 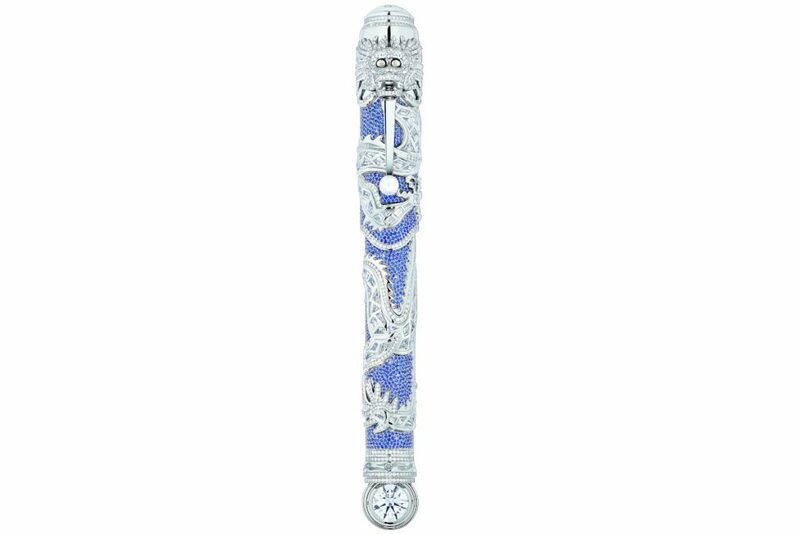 With a pavé of shimmering blue sapphires around both the cap and barrel as well as a diamond laced dragon accentuated with white gold fittings around the barrel, this writing instrument is set to stun with the icy contrast of the diamonds to the vivid warmth of the royal blue. 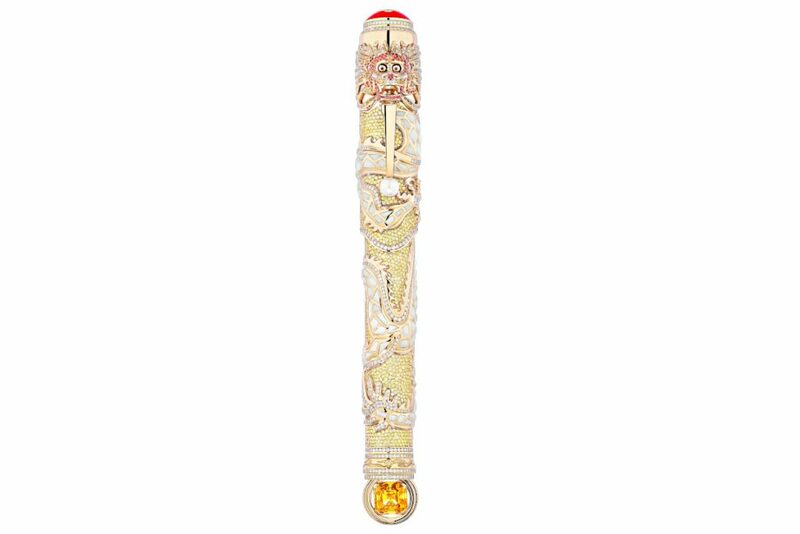 A second nod to the fondness for western astronomy that the Emperor held, the Royal Blue Dragon writing instrument comes with an armillary sphere mechanism, similar to its predecessor, with a 5 ct white diamonds held in the centre. A flawless finish to this regal pen, the Montblanc High Artistry Homage to Emperor Kangxi Limited Edition 1; The Royal Blue Dragon comes priced at MYR 6,128,500. For those who like a splash of colour in their lives, the Jade Dragon is that yearning come to life. 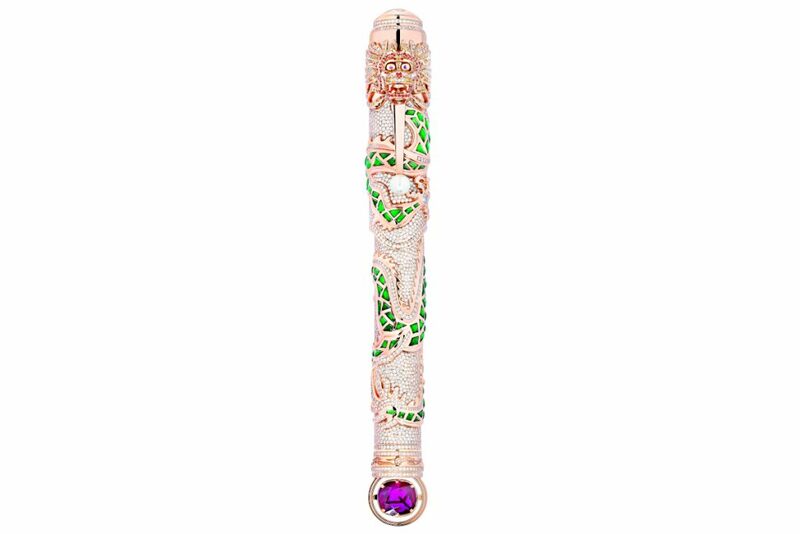 With the entire cap and barrel of the pen set in a breathtaking pavé of diamonds, the colourful dragon circling across the barrel and cap of this writing instrument seems to come to life with the vibrant green jade skin of the dragon jumping out from a sea of glittery diamonds. 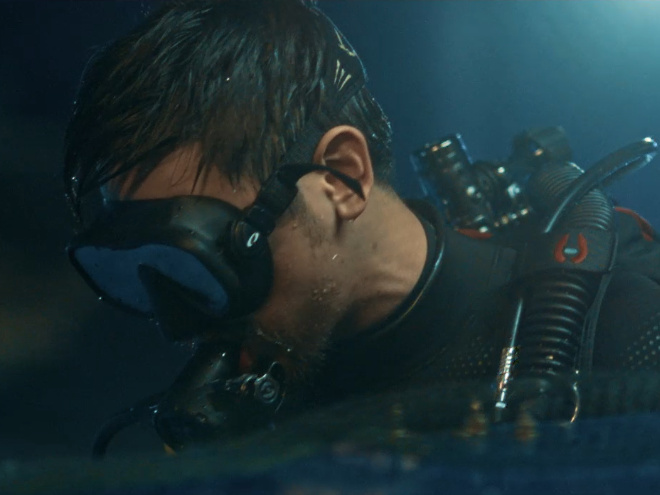 With a clip set with natural white pearl, and the miniature red accents that breathe life into the dragon, the Jade Dragon is not for the faint of heart. 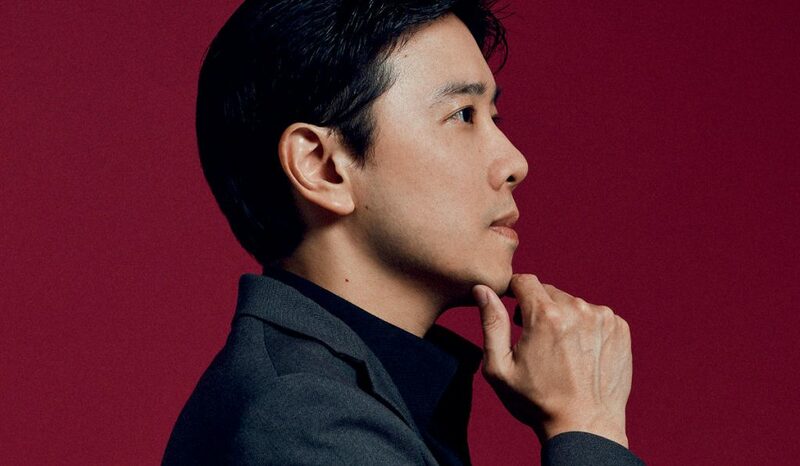 Similar to its other pens in the Limited Edition 1 collection, the pen comes equipped with an axis mechanism structured from real gold, that hosts a vivacious precious red 5.08 ct ruby that floats around in the mechanism. A writing instrument that sells history as much as it sells class and avant garde style, you can have the Jade Dragon pen from the Montblanc High Artistry Homage to Emperor Kangxi Limited Edition 1 as your very own for MYR 6,128,500.